"We developed key relations with Premier Partners in order to offer our clients a suite of products which can increase their productivity and run their operations more efficiently, all at an affordable cost," said John Shufeldt MD, Founder and Chief Executive Officer. WALTHAM, Mass., July 14, 2015 (SEND2PRESS NEWSWIRE) — Forerun Inc. today announced it has joined the Urgent Care Integrated Network (UCIN) as a Premier Partner to help better serve the Urgent Care healthcare market with UrgiChart – an intuitive electronic health record system enabling physicians to document efficiently while streamlining clinical decision making thus freeing up more time for patient interaction and increasing operational improvement. 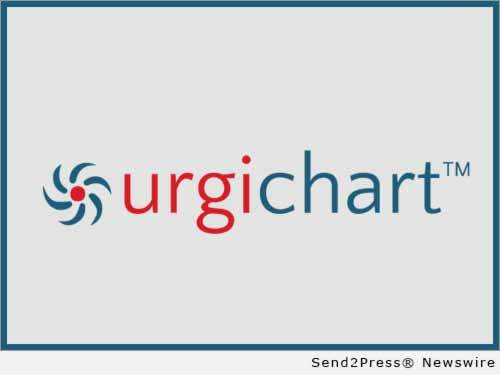 UrgiChart’s unique ChartStarters™ provide fast and comprehensive electronic documentation with a logical intuitive flow aligned to how a physician actually works. ChartStarters™ displaces the old-school electronic chief complaint template, a solution designed and better suited for a world of paper charts. It unleashes the power of computing technology to deliver a new charting experience that allows for fast and complete charting in minimal time. Forerun Inc. has partnered with UCIN, a leader in management service organizations (MSO), providing the necessary practice management and business support services to help independent urgent care centers excel and succeed in these changing times. UCIN’s service offerings are designed to focus on reducing costs and increasing revenue. Urgent Care Integrated Network (UCIN) uses its buying power to negotiate and contract the lowest possible pricing with vendors for medical supplies, durable medical equipment and services at rates lower than our members can obtain individually. UCIN vendor partners are a select, carefully chosen group of companies whose services will help you maximize efficiency and productivity. * Visit Forerun at the UCIN Premier Partner’s site for UrgiChart: http://www.ucinmso.org/vendors/urgichart/. * View a quick video on UrgiChart: http://www.urgichart.com/resources/video-library/. * Learn more about UCIN at: http://www.ucinmso.org/. * Read more on the UCIN blog: http://www.ucinmso.org/category/blog/. Forerun Inc. is a leading innovator of electronic documentation and care management solutions for hospital emergency departments, free-standing EDs and urgent care centers. The Forerun solutions platform was developed by physicians, for physicians, to enable emergency medicine caregivers to accelerate the documentation of patient care, while enhancing patient safety and the quality of care. Founders include leading emergency medicine practitioners and IT experts associated with Beth Israel Deaconess Medical Center and Harvard Medical School. Forerun is headquartered in Waltham, Massachusetts. Visit http://www.urgichart.com/ for additional information. News issued by: Forerun Inc. Original Keywords: ChartStarters, management service organizations, electronic documentation and care management solutions for hospital emergency departments Forerun Inc. Waktham Massachusetts WALTHAM, Mass. RSS News Feed for Forerun Inc.
REFERENCES: Alliances and Partnerships News, ChartStarters, management service organizations, electronic documentation and care management solutions for hospital emergency departments Forerun Inc. Waktham Massachusetts WALTHAM, Mass.